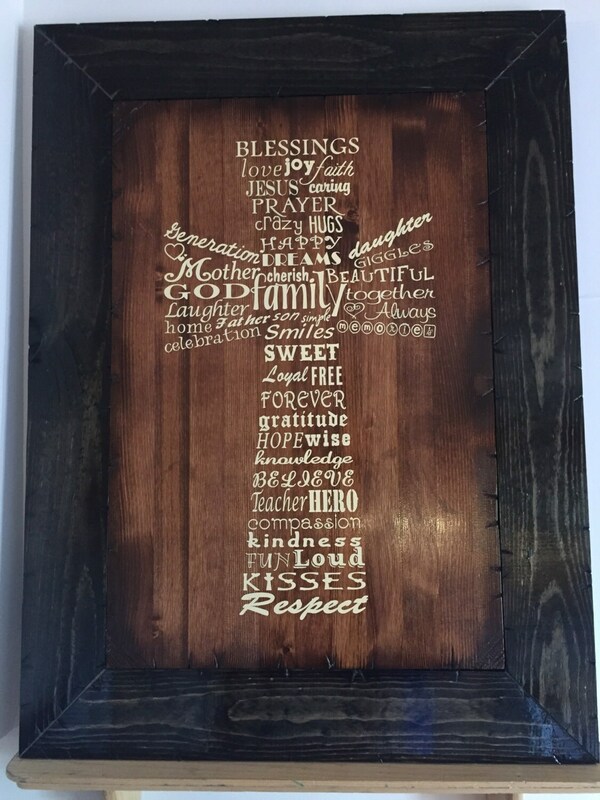 This beautiful sign measure 31" tall by 23" wide. We start with brand new wood that we distress and then stain before painting on the art. 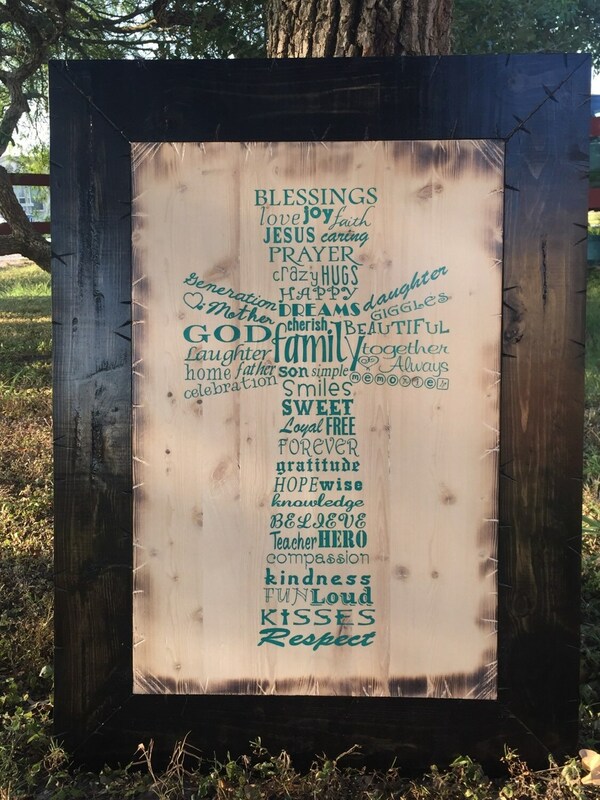 The frame around it is also distressed and then stained. This is available in either a white was stain with turquoise paint or chestnut stain with antique white paint. If you would rather have a different color combination, please don't hesitate to ask! :) attached to the back are d-rings for easy hanging. This is sealed with a glossy finish.